Headshots tell your clients “I am friendly”, “I am a go getter”, “I am a professional”, “I can get the job done”! If your companies’ headshots are saying anything else, then it is time to give us a call. 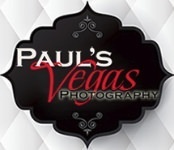 At Paul’s Vegas Photography we want your company to be a success and capturing that is our business! There are many things that go into professional headshots that a cell phone camera will not get you. 1. Do not put lotions, sun screens, or any oil on your skin the day of your headshot. Matte makeup is the best to use. You don't want to look shinny. Oils reflect light and require additional photoshop in order reduce the shine. 2. Iron, steam or press your clothes, you’re a professional and you should look like you care about your appearance. 3. Sold color clothes - small patterns cause problems for cameras. Also avoid large jewelry, small simple jewelry is best. 4. Women's makeup needs to be matte and natural looking. Professional makeup artists know that for photography, models need matte finish makeup to be photograph properly. If you plan on doing your own makeup, then you should look into finding matte finish makeup. We recommend women use a professional makeup artist. Do not use makeup with glitter. Having glitter in your makeup is great for nightclubs but it doesn't work for business photography. 5. Hair, wear it as you would normally wear it. Your headshots are not a place to experiment on a new hair style. 6. Colors selection is important blue, green and grey usually work better. Be cautious of white, pinks, bright yellows, bright oranges as your main outfit color. 7 Layers are good most of the time. You should think about bringing layers of clothes. It offers us options when creating your headshot. 8. Women's neckline is import when selecting clothes, you want to select a neckline that draws attention to you face, not other parts of your body. Avoid turtle neck also. Remember the headshot is to be used for business and you should dress that way. 9. Get some sleep the night before your headshot session. The better rested you are the better your headshots will look. We know that is tough in Las Vegas sometimes, but it will make a difference. Drink plenty of water the night before your headshots, remember it is the desert. 10. Think about the audience you are trying to reach with your headshot and select clothes which that audience expects a professional in your field would wear. Here are few things we need to make sure we get the best headshots for your company. We need a room preferably with no windows. The dimensions of the room should be 10X20. We need power as we bring in all the professional lighting we need to take your headshots. You can schedule your employees every 10 minutes. Headshot Photography Top notch professional Photographers. You can’t get better - Thank you Paul's Vegas Photography! You made us all look GREAT!! Headshot Photography Paul and Lisa were great to work with and delivered just what we needed for our professional head shots. We're very happy with their professionalism and the work that they do! Headshot Photography Lisa and Paul are amazing photographers to work with! They are very flexible, experienced, accommodating and personable. Thanks to them, the headshot photography process during our 2-day conference was very smooth and efficient and they made all our attendees feel very comfortable. Our portrait headshots (perfectly retouched by them) and event photos turned out beautifully.